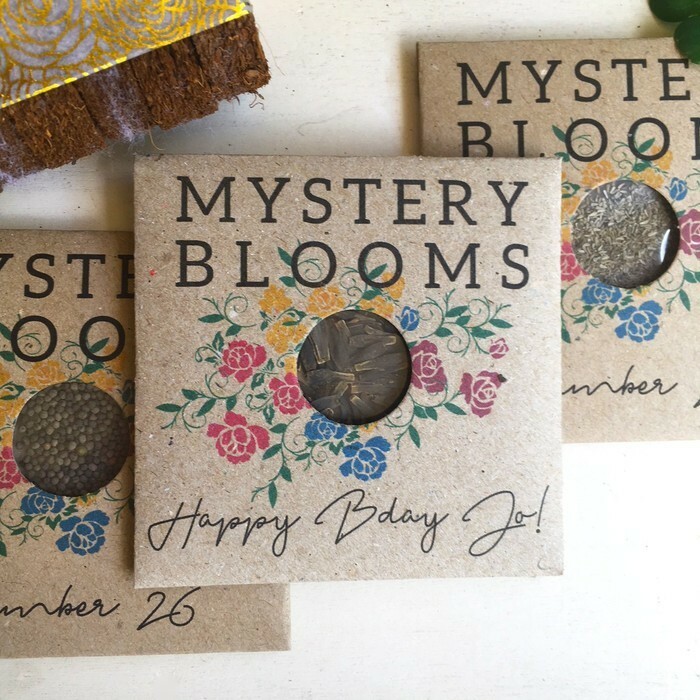 Plant Mystery Blooms flower seeds to grow a surprise plant- The seeds come with care instructions, but the type of flower remains a mystery right up until it blooms. The Personalised Gift Packs are an all-in-one growing kit, perfect for a uniquely personal gift. The soil pellets expand to fill the pots. As the seedling grows, the pots can be planted into the ground where they will naturally disintegrate. Our flower seeds are high quality, easy to grow, and in the season for the best results. We are always contactable for support, before, during, and after purchase. 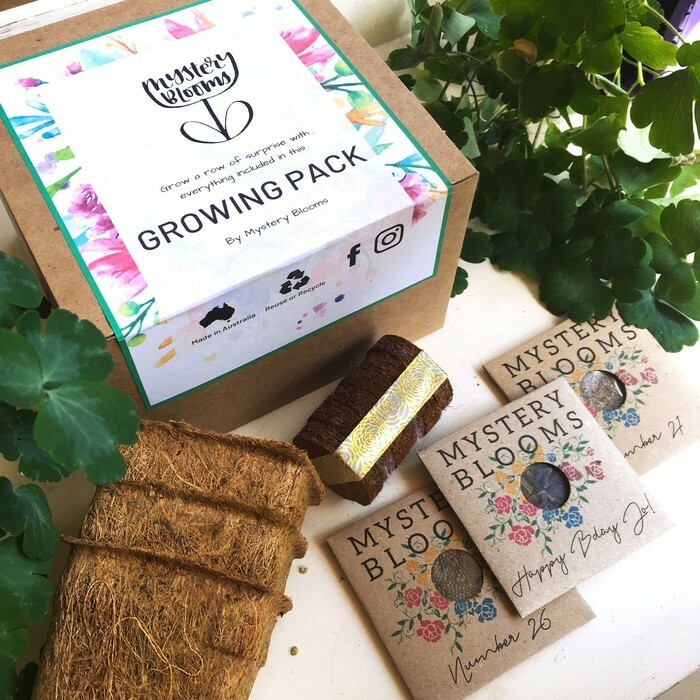 Each Mystery Blooms packet is designed and manufactured in Australia from 100% recycled paper. We choose ethical and sustainable practices for everything. Can’t see what your after in our shop? If you have any questions about this or any other of our products, please send a message!